New Gorillas Gallery Online Now! I have just added a new gallery to my website featuring more than two dozen images of mountain gorillas that I took in Rwanda this past August. You can see the gallery by clicking on the following link: Gorillas Gallery. The image above is included in the new gallery and is one of my favorites. 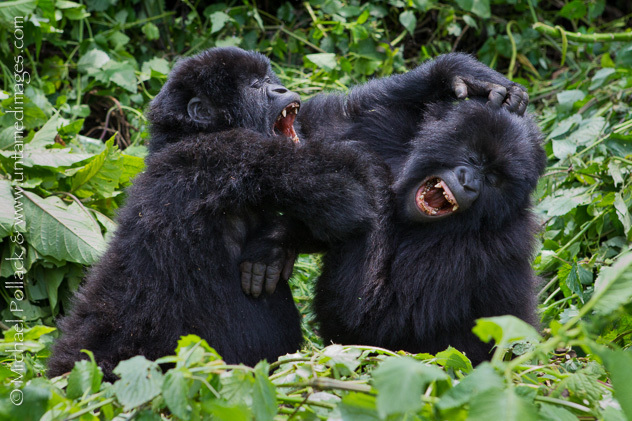 These two young gorillas entertained me and my fellow trekkers as they tussled with one another in a prolonged wrestling match. I’m afraid the expressions on their faces make it look like their interaction was a violent one, but it was in fact just good-natured play that they both seemed to enjoy thoroughly. This adult male mountain gorilla (known as a silverback) sat calmly while I photographed him from close range. Little did I know at the time that this gorilla, which was literally the first individual of dozens I would see over four days of trekking in Rwanda, would become one of my favorite subjects of the entire trip. He sat quietly even as one of the guides removed some obstructing vines that draped across his chest. When he wasn’t feasting on handfuls of vegetation, he would pause, and gaze at me and my fellow trekkers with those piercing eyes. It still gives me chills when I think about those moments of connection with this most sentient of creatures. 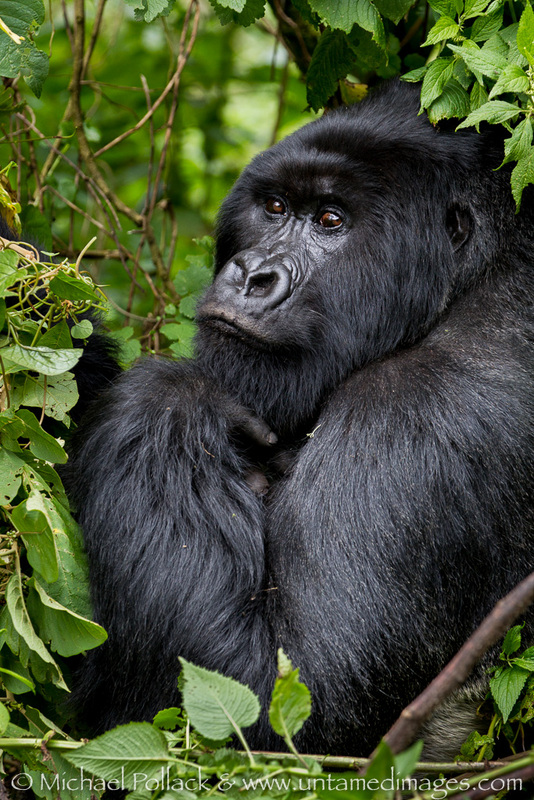 This encounter took place in Rwanda’s Parc National des Volcans. 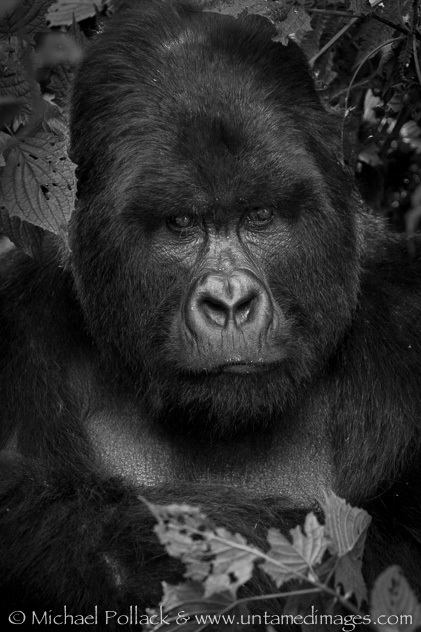 The individual gorilla pictured here is one of four silverbacks belonging to the Kwitonda family.